Here they are! Thanks to everyone that helped! Here they are. Sorry about that! 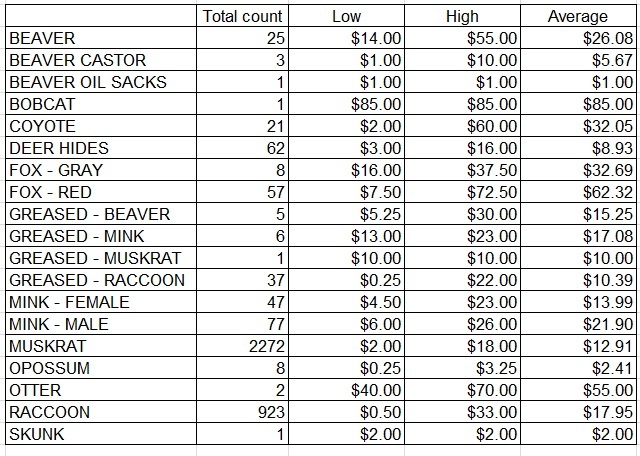 Here are the results from the Jay's fur sale yesterday. A big thank you to everyone that helped out yesterday! A big thank you to everyone who came out yesterday! Thanks to everyone who came and helped out! Thanks for everyone's support and hard work! 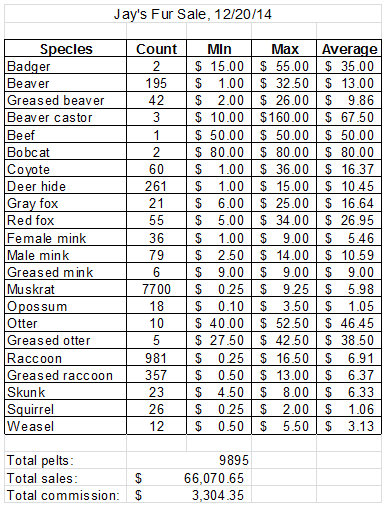 We also made $289.75 for Defend the Hunt, so thank you to whoever donated! 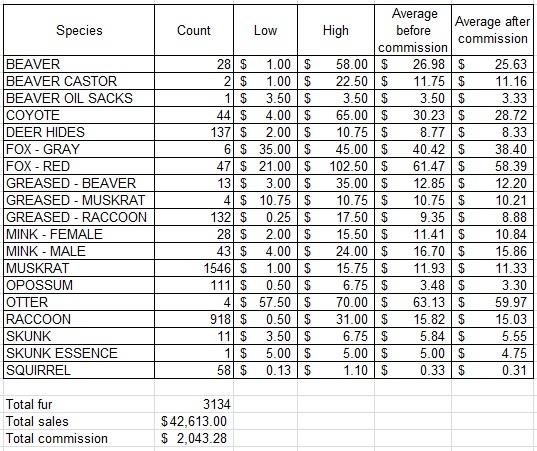 Let's keep fighting the good fight and think about donating one or two hides at future sales. 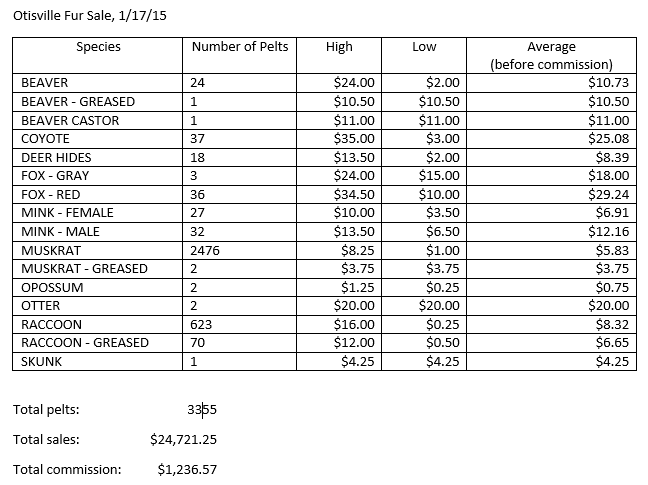 My post "Jay's fur auction results, 12/21/13" contains the sale averages.